The 11th “ArmRobotics” Championship is kicking off, within the frames of which robots overcoming obstacles and finding a way out of the maze will compete. This news has been communicated at today’s press conference by the organizers of “ArmRobotics” - Karen Vardanyan, Executive Director of the Union of Information Technology Enterprises (UITE), Hayk Yesayan, Director General of the general sponsor of the championship Ucom and Zhirayr Edilyan, Country Director of the sponsor of the championship World Vision Armenia. “All those projects relating to the development of engineering thinking, programming and robotics skills are at the heart of the CSR strategy of Ucom. 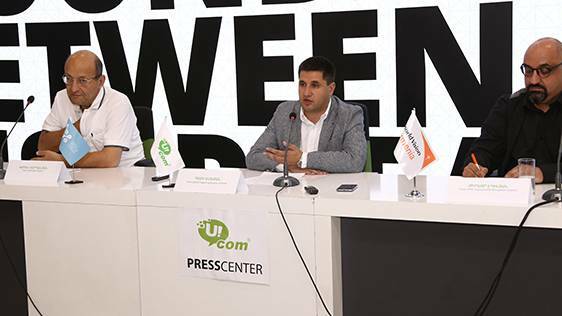 It is our deep conviction that the young beneficiaries of such projects will be able to meet the global demand for 3 million ITT specialists,” said Hayk Yesayan, Co-founder and Director General at Ucom. UITE Executive Director Karen Vardanyan emphasizes the importance of robotics contests, as, on the one hand, they develop competitive spirit among children, and, on the other hand, help to acquire skills thanks to which they will become internationally competitive specialists. 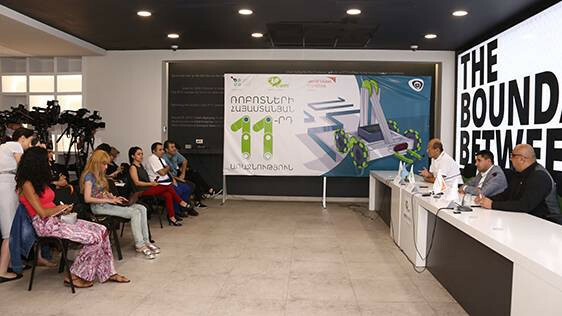 “The robotics and development of automation systems may become one of the corner stones for the development of IT sphere in Armenia. These young people will change our life tomorrow. For already many years, World Vision Armenia is supporting the robotics group operating in the regions of Armenia. We are convinced that the groups in place will provide an exclusive opportunity to these young people to have a demanded job and a worthy life in future,” said Zhirayr Edilyan, Country Director of World Vision Armenia. The objective of the contest of robots overcoming obstacles and finding a way out of the maze is to engage young people in the processes of development of robotics, automation and different IoT (Internet of Things) gadgets, encourage them and introduce to the public the importance of development of the field and the ways to approach global technology trends. Children of the age of 10-18 are eligible for the contest by presenting the technical specifications and ideas of self-made robots. The deadline for applications is July 11. The finals will take place in September. The technical tasks and rules of the contest are presented here, and the application for registration is available here. The participants will introduce self-made robots to the professional jury, and the best ones will receive monetary awards from Ucom and World Vision Armenia. “ArmRobotics” robotics development and support program is being implemented in Armenia by the UITE since 2008.